Student Startup Camp was held in Tartu already for the 5th year. With the help from the University of Tartu Institute of Computer Science and IdeaLab 100 students came together in SPARK Hub to pitch ideas, form teams and work hard for the whole week to build their ideas into working prototypes. We started on Monday at Spark hub Tartu where students from all over Estonia gathered, they pitched 16 ideas and 11 of them formed the teams around them. We spent our first evening in Naiiv Bar where teams planned what to do on the following week. During the next days teams had different mentors and they helped participants to understand more about entrepreneurship and startups. Subjects from the concept of a Minimum Viable Product to the importance of teamwork to “dirty tricks” for hacking were covered by awesome mentors committing their time during their week. The core team consisted of Garage48 team members: Kai Isand, a pitch coach and COO of Garage48, Maret Kruve, product manager at Testlio and Ucha Vekua, a marketing volunteer from Garage48. During the week we had also a list of guest mentors coming in to give lectures on several subjects. Mentors were: Vahur Singa, Martin Vares, Yuxuan Chen, Gleb Stsenov, Liis Narusk, Dmytro Fishman, Andrea Boetti, Triin Kask, Richard Murutar, Artem Zaltsev, Roland Kriibi. We had great help from local IT companies Fortumo, Mooncascade and Pipedrive who shared their knowledge through mentoring and also hosting the participants at their offices. We also invited some really cool founders to share their stories. Similarly to the participating teams they have started from hackathons and startup competitions to make their ideas come to life. At the final demos on Saturday, the jury had to make the tough decision. The jury members were: Maret Ahonen (UT IdeaLab); Anne Jääger (Institute of Computer Science of University of Tartu); Sven Parkel (University of Tartu, Centre of Entrepreneurship & Innovation); Jüri Kaljundi (Garage48, Weekdone); Maret Kurve (Garage48, Testlio). Recipery - If you love cooking but hate shopping then this product is just for you! We provide recipe sharing service with ingredient home delivery. Find out what to eat tonight in minutes. Tap a button and get fresh ingredients at your doorstep. StartART - a first platform dedicated to students' artwork. Students can make their own profile for sharing and selling their artwork. Customers can browse and buy a wide variety of student's artworks. The price and quality ratio will never be so good! Guidy - Shared guided tours. Larger group -- lower price. Shakespeer - a web platform which scores and suggests content to increase popularity and engagement. E-commerce platform that connects customer and stores and solves the problem of fitting and sizes. Using the platform customers can choose several sizes of the one particular item, try them, pay only for suitable one and return the others. The best conspect making and collaboration tool ever made. Imagine a programme which connects google docs, content management, wikipedia tools. In addition to your and your friends’ notes. It is super easy, effective and convenient for every kind of structuring of thoughts, notes and information. You choose conspects from TREED - you pass your exams. Team: Ilona - public person, marketing. Mari - product manager. Karl - front end developer. Karl 2 - Back end developer. Ott - front end developer. Jaak - idea starter. Karel - marketing. Raul - developer. Resiliwise helps startuppers stay resilient in the grind. We give you personalised tools to balance out your life and a way to share stories with other like-minded startuppers in our weekly video chats guided by trained mentors. Team: Diana Vähi, Cofounder, Designer. Avely Pütsep, Cofounder and Communication. Anas Mohaisin, Business Analyst. Alex Swed, Lead Magic Maker, Double Agent. Daniell Lepp Google Master and Tiny Developer, Ryan, Lead on Plan “B”: The auxiliary front-end build. Marge Seppo, Serious Developer. eReceipt helps your company manage bills and receipts digitally from our centralised system. We offer you reduced paper hassle, bucks saved from accounting and improved control of spendings. We focus solely on businesses, keep it simple for your employees and offer you the best of both worlds by sharing ideas and working with competitors - that is why You should prefer us. Use eReceipt today, save time and money tomorrow. Development lead: Rao "Démon” Zvorovski. Backend: Rao "Démon” Zvorovski, Karl Martin Teras. Frontend: Nikoloz Kalandarishvili, Maksym Melnyk Mason Michalec, Ivan Ojiamo. Designers: Eliisa Ülevain, Sirle Kont, Polina Petuhhova, Valeria Skabardias. Marketing: Emmanuel Attu, Jane Kryvenko, Carola Kesküla. EziPort is a reliable service engineered by students for students to connect them with their relatives and loved ones in their home countries. Our main mission is, to deliver your parcel from Estonia or any other country to your home country or vice versa via a network of university students who would have a free space in their luggage up to 5 kg. Deployment & Web hosting; Zhou Yu, Business Communication & Content Adviser; Mehwish Peter, Project Manager; Bejon Sarker, Web Backend Developer; Grace Okolo, Web UI Developer; Abel Mefsin, Web UI Developer; Mahir Gulzar, Android Developer; Andreas Vija, Android Developer; Abenezer Berhanu, Android Developer; Mohammed Nasif, Sales & Marketing; Khaled Charkie, Support; Kadri Oluwagbemi , Support ; Sriyal Jayasinghe, Support; Shahla Atapoor , Support. 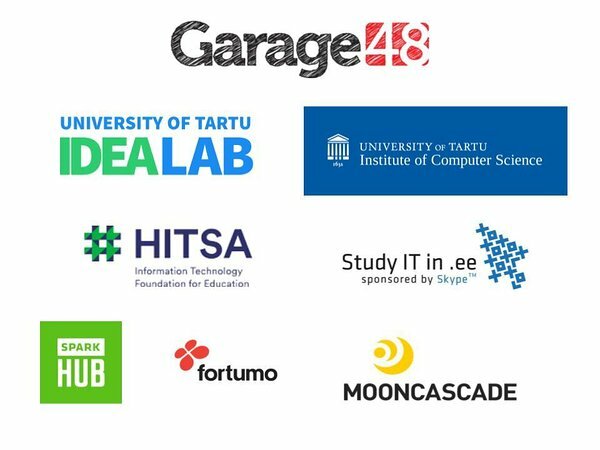 - our partners and co-organisers Institute of Computer Science of University of Tartu and UT IdeaLAB. Thank you for hosting us and helping to create this magical camp! Thank you Maret and Riin. - all our mentors and speakers who committed their time and shared their knowledge and know-how. Special thanks to people from Mooncascade (Betti, Kelian, Mihkel) and Fortumo (Mattias, Kätlin, Tom) for helping to find amazing speakers and hosting us in their offices. - and BIGGEST THANK YOU goes to our amazing PARTICIPANTS - without You this event would not have happened! PS You can also check-out a short video about how we spent this five days together. 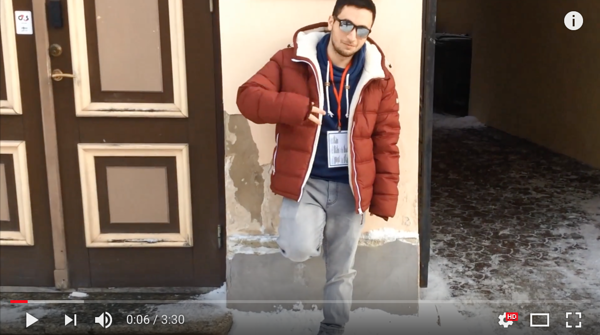 Video made by our star volunteer Ucha Vekua. The event was co-organised with the Institute of Computer Science of University of Tartu and UT IdeaLab. The event was supported by HITSA and IT Academy.